Archos is all set to launch two of its latest devices for the Mobile World Congress at Barcelona from 22nd of this month. The French company was already in news for launching certain new Oxygen tablets and 50d Oxygen smartphone. 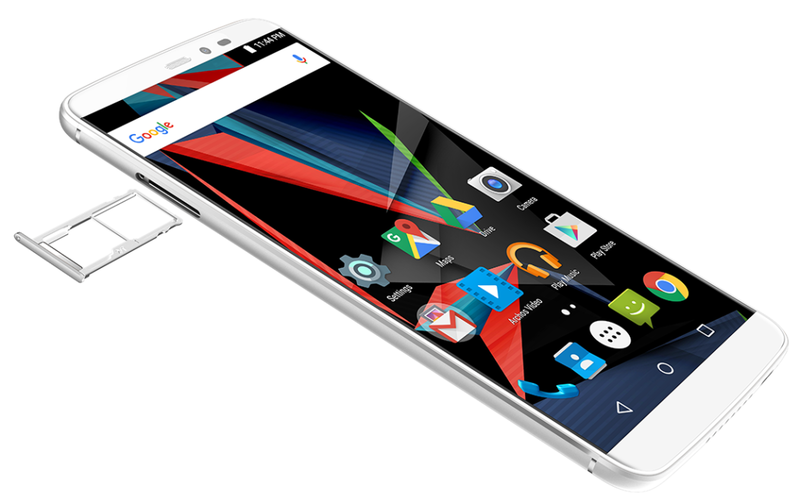 Now Archos also hit the headlines with the release of two latest smartphones. One is named as Diamond 2 Plus while the other will be called as Diamond 2 Note. Let us have look onto the specifications of these latest devices. Diamond 2 Plus features a dimension of 148.3*73.8*8.3mm and is having a weight of 130 grams. This smartphone is loaded with a display which is 5.5 inches edge to edge. This touchscreen is having a screen resolution of 1080*1920 pixels with 400 PPI.Diamond 2 Plus is a dual-SIM smartphone and supports only micro-SIM. Diamond 2 Plus is powered by Meditek MT6755 Helio P10 processor. This Octa-Core processor is loaded with a processing speed of 2.0GHz. Along with this, this handset is loaded with a RAM of 4GB, which ensures that this smartphone performs functions so smoothly without any processing lag.Processor of Diamond 2 Plus is backed with graphics from Mali-T860MP2 that functions at a speed of 700MHz. Diamond 2 Plus is loaded with an internal storage of 64GB. This can be enhanced with external storage that goes upto 128GB with the help of external microSD memory card.Diamond 2 Plus runs on Android v6.0 Marshmallow OS. Diamond 2 Plus is loaded with a primary camera that features a 20MP lens. This camera is supported by dual tone LED flash. This camera is quite enormous that you can snap quality and high resolution images. The front also gives you 8MP. In short you can enjoy extensive imaging experience on Diamond 2 Plus. On the connectivity side Diamond 2 Plus is loaded with dual-SIM facility. Both the SIMs should be micro-SIMs. Among them only one supports both 3G and 4G, while the other supports only 3G. This smartphone also supports WiFi connectivity and also GPS connectivity.Diamond 2 Plus is also loaded with a fingerprint sensor to its back panel.Other supported sensors include Proximity, Ambient Light Sensor, Accelerometer and Gyroscope. Diamond 2 Plus is loaded with a battery that has a capacity of 3000mAh. This handset is tagged with a price of $229, €249or £199.Initially, Diamond 2 Plus will be introduced to MWC and then it will pave its way for markets world-wide by May. Diamond 2 Note comes with a dimension of 158.35*82.7*8.7mm and is having a weight of 150 grams. This handset is loaded with a display that is as wide as 6 inches. This display features Quad HD IPS capacitive screen that has a resolution of 1440*2560 pixels. 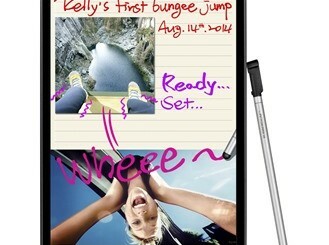 This display is protected by Corning Gorilla Glass 3. Diamond 2 Note is powered by MediaTek MT6795 Helio X10 processor. This Octa-Core processor is loaded with a processing speed of 2GHz. Graphics is supported by POWERVR G6200 GPU. This processor is supported by a RAM of 3GB ensures that the smartphone functions without processing lag.Diamond 2 Note is loaded with an internal storage of 32GB, while the storage can be enhanced with the help of external microSD memory card to upto 128GB. Users can interact with the smartphone with the help of Android OS of v6.0 Marshmallow. Diamond 2 Note is loaded with a primary camera having 16MP lens. This camera is enhanced with dual-tone LED flash. This camera can be used to record video with 4K quality. The front cam is loaded with 8MP lens with 84-degree wide angles. This will ensure extra quality for your selfies. On connectivity end, Diamond 2 Note supports 4G as well as 3G connectivity. WiFi is supported with a bandwidth of 802.11 b/g/n.Diamond 2 Note features Bluetooth of v4.1 and also supports GPS. Diamond 2 Note is loaded with a battery that has 3610mAh capacity. This battery is enough to keep the handset live for the entire day. This handset is tagged with a price of $279€299 and £249.Diamond 2 Note will be launched on MWC initially and will be marketed by May.